If you are a fan of continental food, then you are in luck! 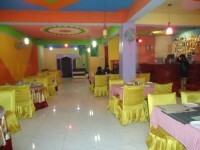 We have arranged for you the list of the top best continental restaurants in Kathmandu and Lalitpur. You may be familiar to Roadhouse Café, Trisara, Gaia Restaurant & Coffee shop, Chat and Chew, and so on; but there are other well reputed continental restaurants in Kathmandu and Lalitpur for you to try. A continental restaurant must provide the customers with a large variety of dishes; Indian, Chinese, European, Italian and so on. Such restaurants must serve fresh foods with the best flavors. They must also provide the customers with the best service and fulfill all their wants. The restaurant’s surrounding must be clean and have a fun vibe that captures the essence of all the delicacies that the restaurant serves. Also, the food price should be relevantly set by satisfying the best interests of the customers.